Have a blast this summer with new Nerf Super Soakers! It may not be summer just yet, we have a few weeks left of school still but being it June, our minds are thinking summer holidays. When it comes to summer time, memories are made with the laughter outdoor play brings, especially when the whole family joins in the fun. With the days of Summer drawing near, we prepare our water blaster collection for another year of fun! As you may or may not know, my family are pretty big on not just swimming in the summer months but water play altogether. We have quite the collection of Nerf Super Soakers, they are a fun and simple way to cool off on a hot day. You can be creative and come up with some fun games, make targets and take points. 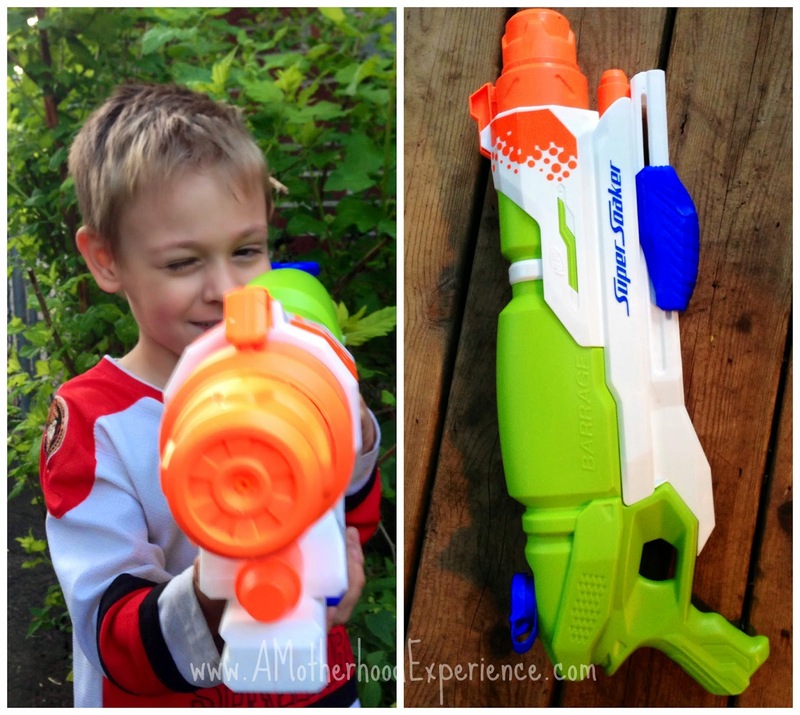 The limits are endless when it comes to water play with Nerf Super Soaker. 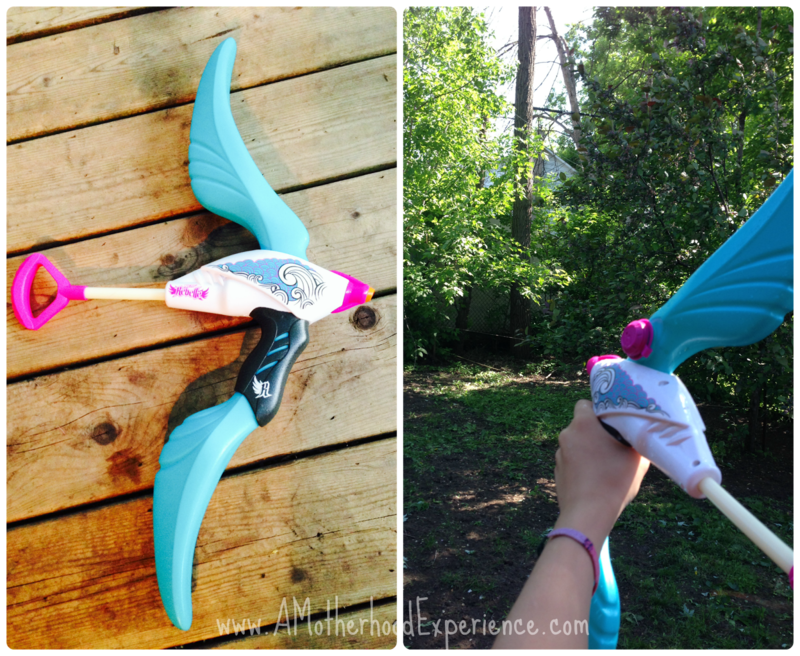 For our tween daughter, Nerf Rebelle Dolphina Bow Blaster is the water sister to the Nerf Rebelle Blaster except instead of darts, it shoots water for a different kind of blaster. When she first saw this via a commercial on TV, she was asking about it. She was excited to try it right out! It has a really fast blast with just one pump, of course she sprayed me with it and used really cold water. Excellent addition to our Nerf collection! For the boy, Nerf Super Soaker Barrage has a huge capacity tank and three soaking modes. It's much bigger than I expected it to be but not big enough that little guy can't carry it around. With three settings, little guy can hit his target with as much or as little force as he wants! As always, Nerf Super Soaker does not disappoint with the fun to be had with these new blasters added to our family collection. We are sure to have a soaking good time this summer! For more information about these and other great Nerf Super Soaker toys by Hasbro Canada, please visit the official website! Posted on behalf of Hasbro Canada/Nerf Super Soaker. Complimentary product received for review purposes. Comments and opinions on this blog are always those of the author.